If you have a disability or chronic illness that makes walking long distances difficult, dangerous or even impossible, consider applying for a handicap parking permit that will allow you to use handicapped-accessible parking spots near shops, office buildings and restaurants. Although the specific criteria vary by state, you can typically qualify if you have a condition that prevents you from walking more than 200 feet without discomfort, require portable oxygen or a walking device or wheelchair or have a cardiac or arthritic condition, for example. Obtain an application to get a handicap parking permit. Most states offer applications for handicapped parking placards through the Department of Motor Vehicles. Get an application in person or head to your state DMV website to see if applications are available for download. Find your state's DMV website through listings at sites such as DMV.org, DMVnv.com or DMV-Department-Of-Motor-Vehicles.com. Complete the application for handicap signs. You'll be required to include such information as your Vehicle Identification Number, the type of disabled parking placard you're applying for, your contact information and physical description. Your doctor will also be required to fill out a portion of the application to certify your disability. Some states charge a handicap parking permit processing fee. Talk to your doctor about obtaining handicap parking signs. Your physician, podiatrist, chiropractor or ophthalmologist, for example, can help determine your eligibility and will be required to complete an eligibility certification to accompany your application. Be sure your doctor signifies if the condition is permanent since a temporary disabled parking sign is typically only valid for six months. Consider applying for a disabled license plate if you've got a permanent disability. Be aware, however, that most states will only issue one such license plate for your primary vehicle, so you'll need to use that vehicle at all times to legally park spots marked as disabled parking. A placard, on the other hand, can be used in another car if someone happens to be driving you to the doctor's office, for example. Contributor. "How to Get a Handicap Parking Permit." 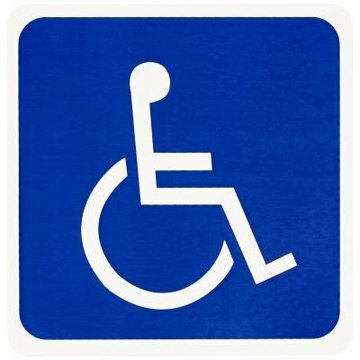 , https://legalbeagle.com/5034292-handicap-parking-permit.html. Accessed 21 April 2019.